WITH more than 69,000 followers on Instagram, Samantha Galligan is Queensland's latest social media celeb. 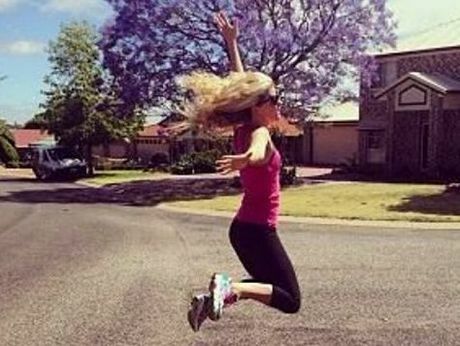 The former Downlands College student said she started the account, the_healthy_me, to motivate herself to get fit. She never expected her journey to inspire so many others, including one follower who lost 15kg since following Mrs Galligan's account. "Meeting people from online has been the strangest, but loveliest part," she said. "I have met my Instagram followers shopping, out walking and at the gym." Thanks to social media, the road to stardom has become accessible to the ordinary person and Mrs Galligan thinks this is why her account has been such a success. "I'm not a fitness model, I am just me: a normal woman who people can relate to," she said. "I try to live actively and nourish my body with healthy foods while maintaining a full-time job." The unexpected success has inspired the primary school teacher to make the huge decision to leave her teaching career and build her own fitness and lifestyle studio. She hopes to have the Brisbane studio up and running in 2014 and said she would consider bringing her training to Toowoomba. You can find Mrs Galligan on Instagram or on Facebook.